Look no further for all of your boxes, packing supplies and locks! We offer a wide range of these cardboard boxes, as well as products that help keep your dishes and glasses intact while inside our storage facility. 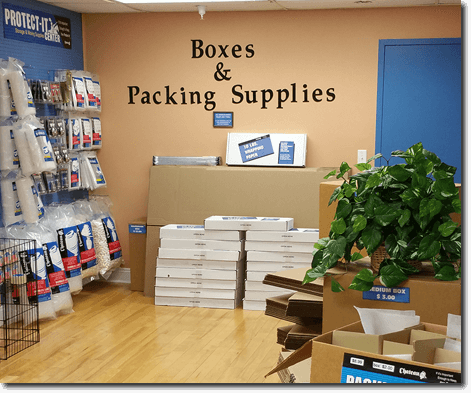 From holding just a few items to keeping your suits looking fresh, you can stop by our facility to pick up the right size boxes for all of your packing needs.